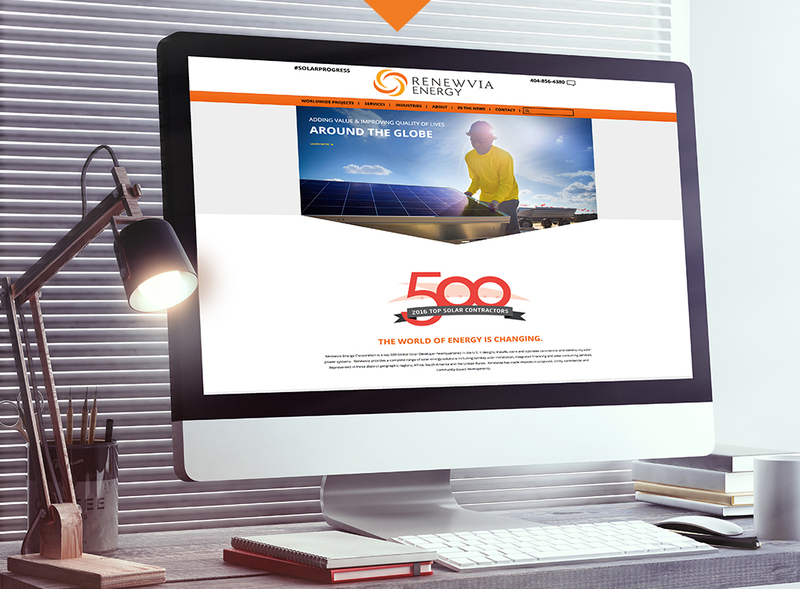 Renewvia finances, builds, owns, and operates solar power plants and solar micro grids in the US and around the world. They identify smaller, high priority commercial opportunities—typically in markets underserved by large institutions—where they can demonstrate timely success. These markets are typically underserved by large institutions because they are often remote and require a non-conventional approach to develop. However, these areas are most in need, so Renewvia takes on the risk. 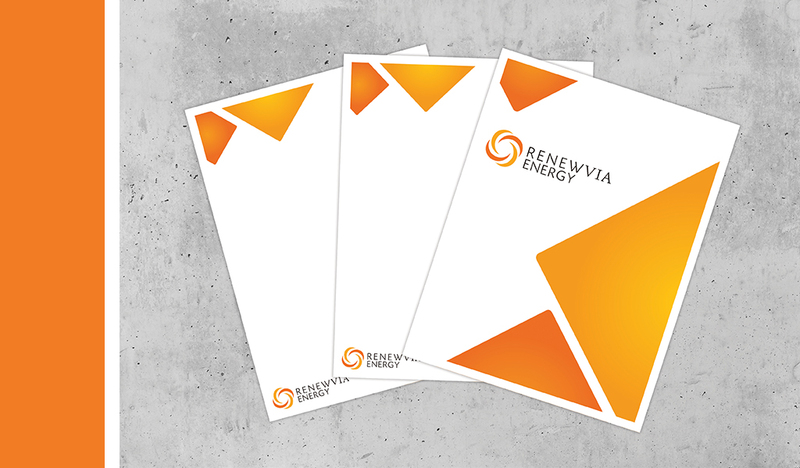 Operating in a unique, specialized market, Renewvia found that their marketing materials were inconsistent and their messaging unclear. This made it difficult to distinguish themselves from the myriad of solar energy providers when engaging with international governments. After meeting with the client to gain a full understanding of the business and its challenges, the id8 team set about creating clear corporate branding and marketing, including a consistent message and theme that could be used in a variety of formats, clearly conveying the company’s position: “Driven by the value we offer instead of the technology we create”. id8 also developed presentation and marketing templates with clean and modern styling. After learning that most communication is submitted through email, id8 then designed a set of sophisticated and impactful materials using a warm color palette and a bold font to create a feeling of solidarity and trust. The materials explain overall company capabilities and are used in corporate communication to international governments. 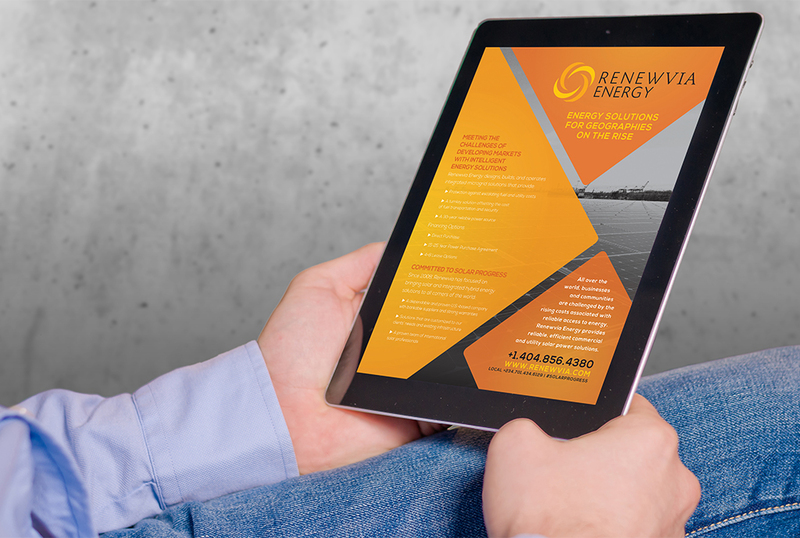 The marketing materials are currently being used to tell the story of the Renewvia team’s experience and expertise in the solar industry. 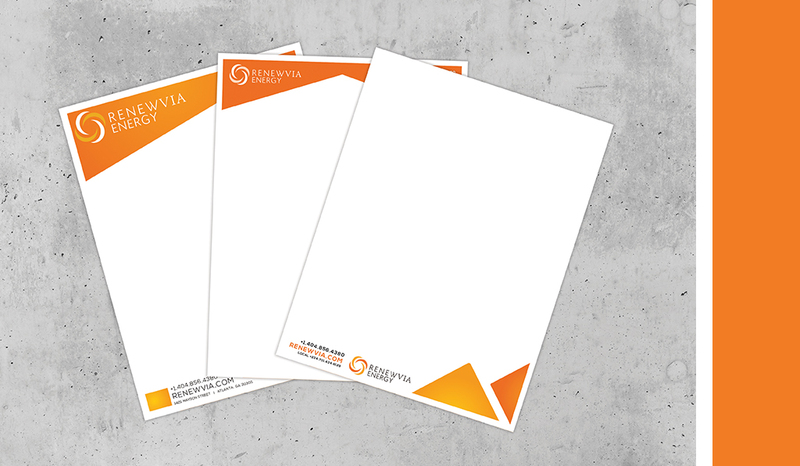 These materials are being well-received, and the client is elated with the results.